Come see us and hang out before we leave for our eleventh tour! RSVP and invite friends via the Facebook event! We're back in Michigan tonight for an 18+ show in Lincoln Park, MI. Come hang? We've had some bum luck. Our van is in the shop with suspension issues and we hit a deer last night. 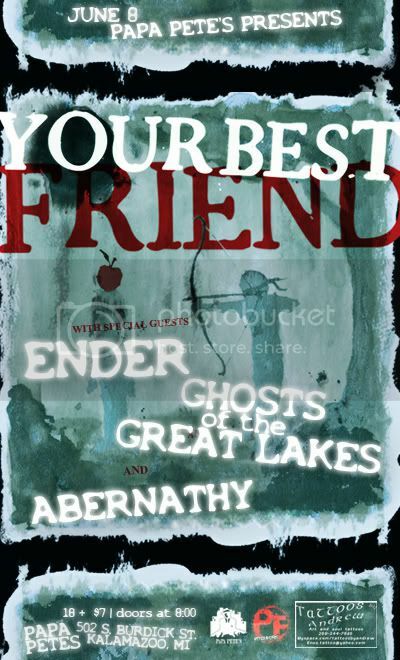 :( Come to the show and hang out? We've got some new merch that would help us get back on the road if you dug some of it. Woo! Help get us back on the road! We are featured in Alternative Press Magazine. It hits news stands today! Go pick up your copy! 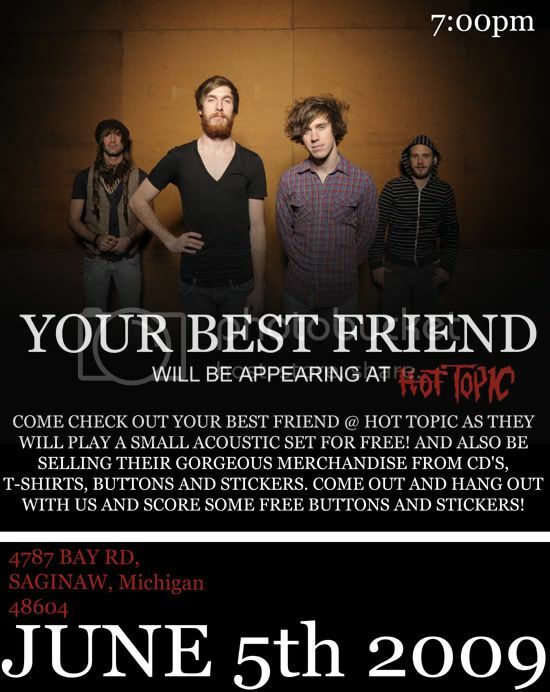 We're playing our first ever acoustic set in the state of Michigan on June 5th at Hot Topic in Saginaw. It's free. Come hang out. 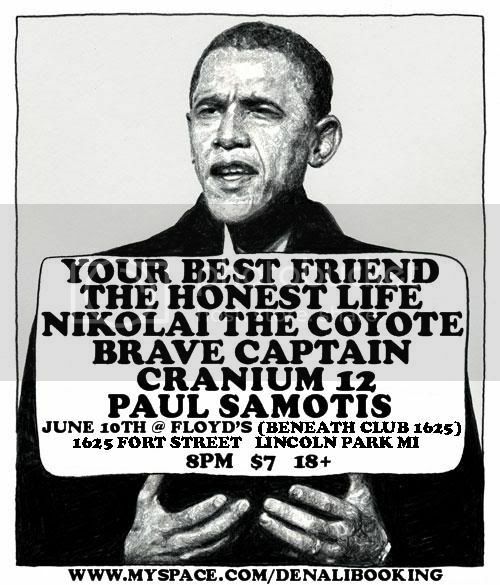 Then we leave for tour on June 6th. 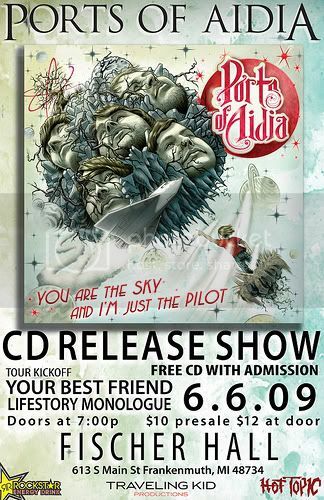 We're playing Ports of Aidia's CD release show. It's going to be solid. Free Ports CD with admission.